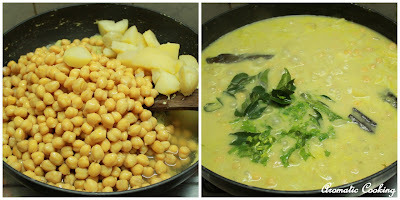 Whenever I make kurma, I usually end up with a yellow or orange gravy, this time I wanted to make white kurma or curry. 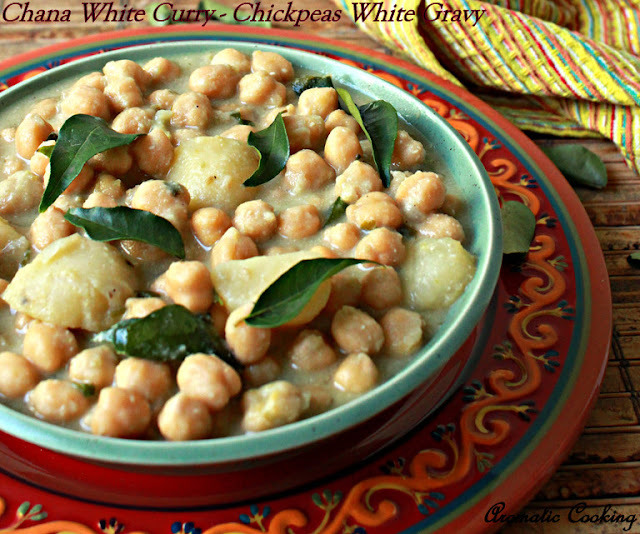 I was going to make something with chana/chickpeas, so why not Chana White Kurma. 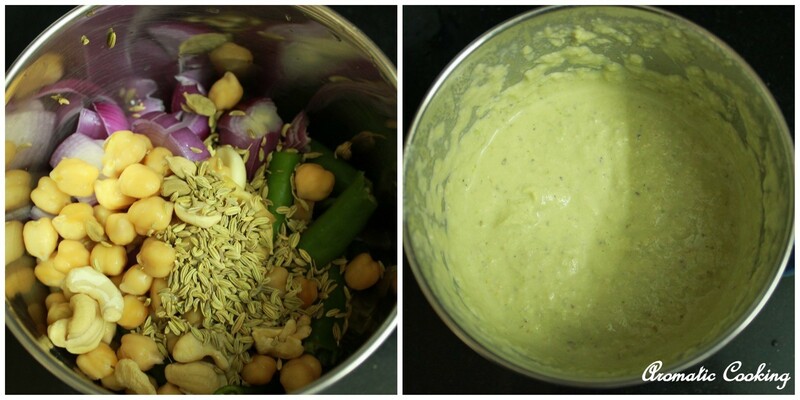 Since I needed a white gravy, I avoided turmeric, tomatoes and red chilly powder ( the coloring agents) and replaced them with green chillies and yogurt, this kurma would go well with rotis, any pilaf or briyani or even with idlis and dosas.. Grind together all the ingredients given under 'to grind'. Pressure cook the chana with a little salt and keep. 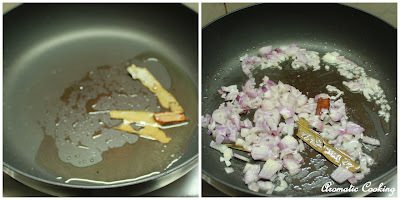 Heat some oil, add the bay leaf and cinnamon, when it starts sizzling, add the chopped onions and saute till it turns pink. Now add the ground paste and saute for at least 5 to 7 minutes till the raw smell goes away, you can sprinkle some water if it sticks to the pan. 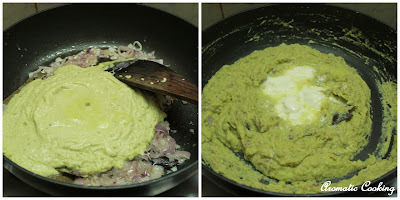 Then add the 4 tablespoons yogurt and saute till it also comes together or the curd blends with the gravy. Now add the cooked chana, potatoes, about 2 cups of water and salt. 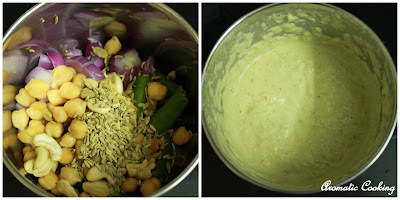 Bring it to a boil and simmer for 5 minutes. Finally add the curry leaves and coriander leaves, mix and switch off. The quantity I have made can serve more than 10 people. 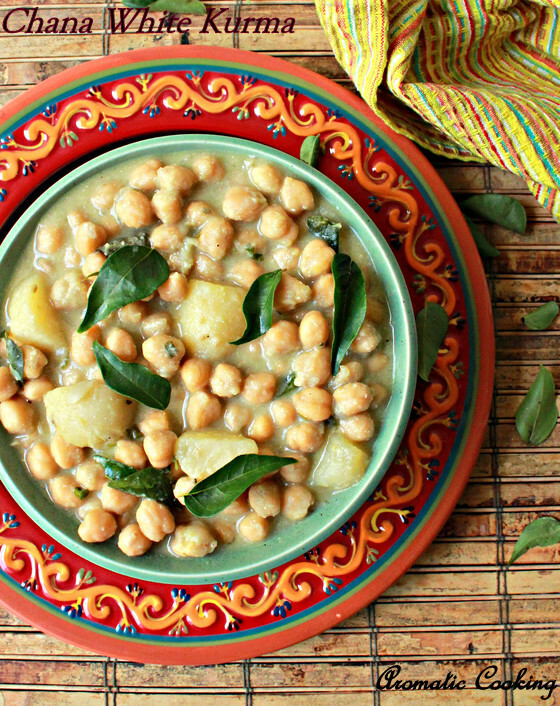 You can use canned chickpeas, drain, wash and use. You can add more coconut to make it more richer. wow beautiful presentation dear.. delicious kurma too.. Stunning and super tempting kurma, looks simply beautiful and gorgeous. This is so yummy....Come and participate in my event...There are 2 giveaways as well. This is different from anything I have made; thanks for sharing! Pinning now. Thanks for sharing wonderful informations. Delicious! I can easily finish the whole bowl!